Hurry over to Amazon.com where you can score this Pyrex Simply Store 6-Piece Rectangular Set for only $10.49 when you clip the $4.50 digital coupon. 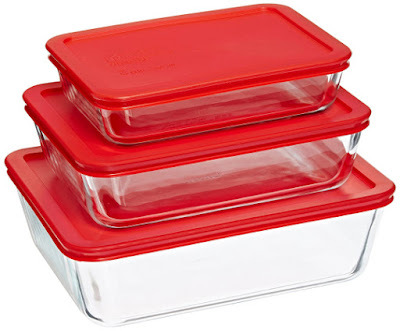 This set includes three rectangular dishes with red plastic lids including one 3-cup, one 6-cup and one 11-cup dish. These dishes are dishwasher safe, and made from non-porous glass that won’t absorb food flavors, odors, or stains.